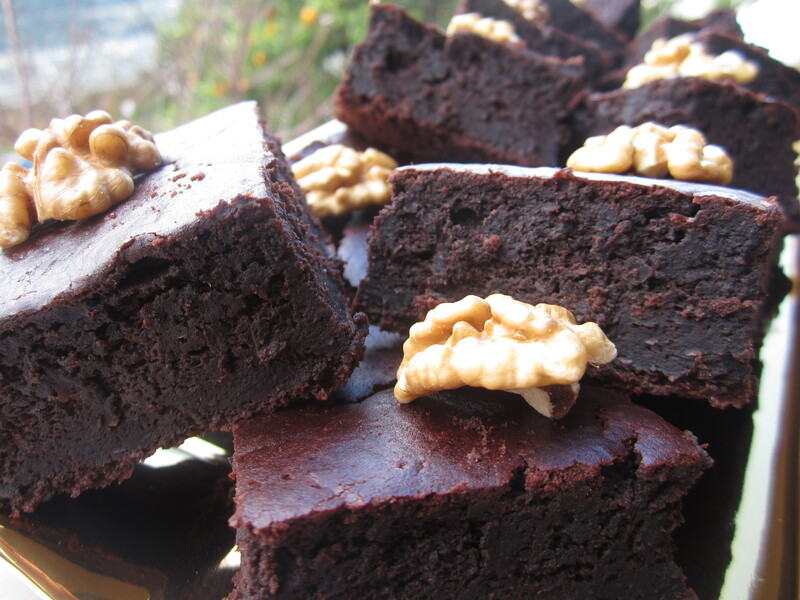 The idea of baking chocolate brownies made of red kidney beans without flour sounds a bit weird at first but once you try a piece you’ll understand how delicious and nutritious this treat could be! I have noticed that many patients complain from their kids eating behavior and the way they constantly refuse to eat grains and rely most of the times on processed foods such as biscuits, chips, pasta and others, that belong in reality to the category of foods tat most kids tend to eat as they are rich in carbohydrates. 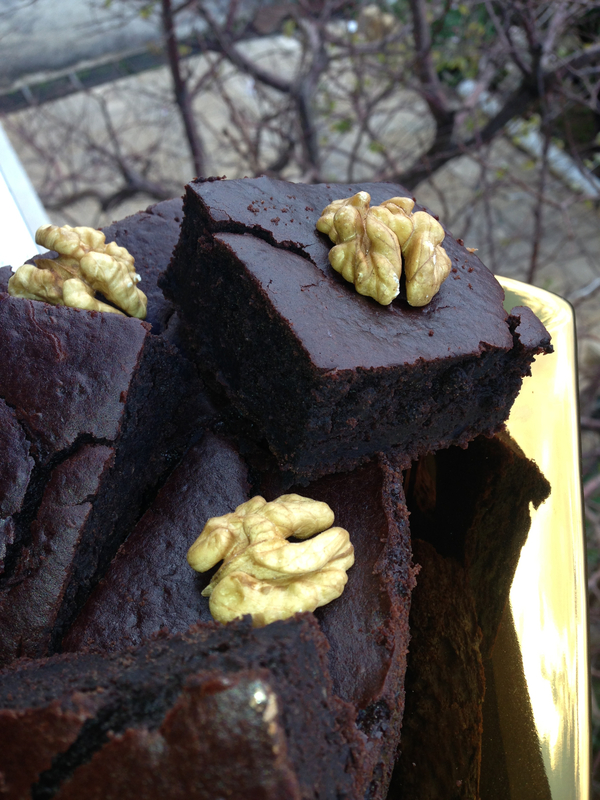 As food neophobia (fear of introducing new foods) is prevalent amongst a high percentage of those kids, I thought about developing this recipe that’s rich in proteins, fiber and low in fat and calories when compared to a regular piece of chocolate brownies. Also, adults could benefit from this recipe.It is not only rich in proteins, fiber and low in fat and calories but is also gluten-free.Therefore, all those who suffer from celiac disease or wish to avoid flour in all its forms can opt for this healthy snack! Beans are a very good source of Manganese, Iron, thiamin (Vitamin B1), folic acid and proteins. They are also an excellent source of fiber that make you feel full longer and reduce the amount of Cholesterol in your blood.For the same amount of proteins, you can easily replace a dish of red meat with a dish of beans with brown rice without all the extra calories and fat of the meat. Including beans in your diet may reduce your risk of heart disease and certain cancers. 1-Grease an 8×8 square baking dish using cooking spray. 2. 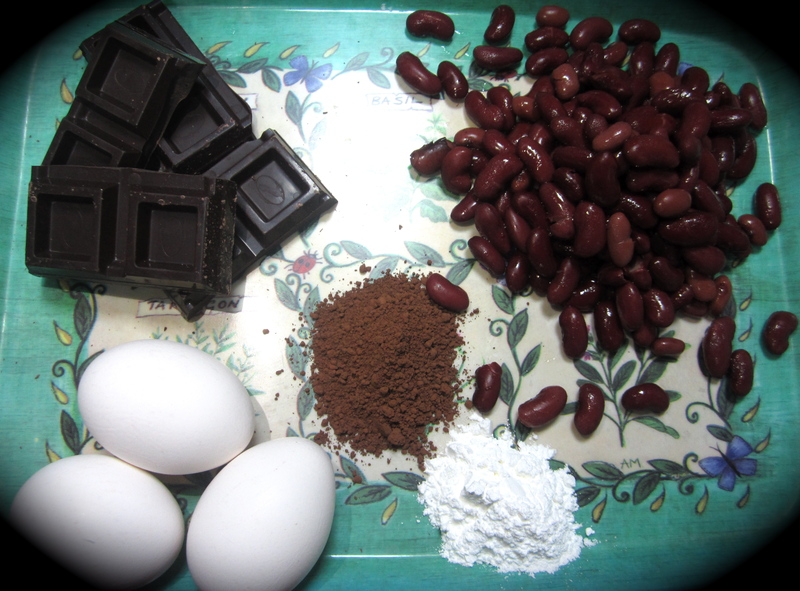 Combine the beans, eggs, oil, cocoa powder,vanilla extract, sugar, and the rest of the ingredients in a blender; blend until smooth; pour the mixture into the prepared baking dish. 3. Bake in the preheated oven for 30 minutes. 4.Yields around 16 pieces.Decorate each piece with a halved walnut. Each brownie has around 100 calories! That’s good to Know 🙂 I’m glad you enjoyed baking these brownies! If using 85% dark chocolate, wouldn’t it be too bitter? how much dark can we go? I’m glad you loved it !! Sure there are many delicious sweet recipes such as the cherry quinoa muffin I highly recommend that you try it ! ← ~*Quinoa marmalade muffins ..